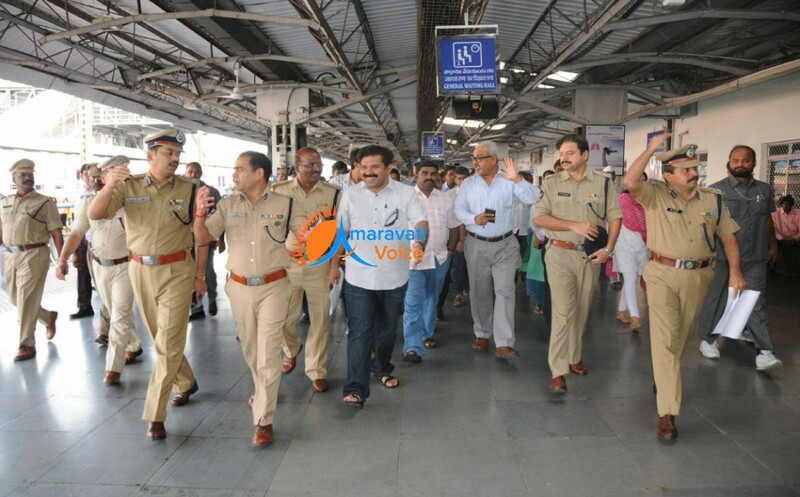 District Collector Babu A. inspected the arrangements being made for Krishna Pushkaram at Vijayawada, Gunadala, Ramavarappadu, Madhuranagar, Rayanapadu and Kondapalli railway stations. He has given certain suggestions about facilities, medical camps, sanitary and other things. He asked Divisional Railway Manager to come up with proposals to increase the infrastructure by Krishna Pushkarams.